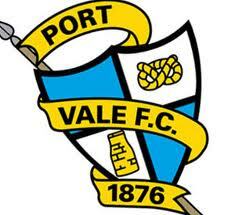 As you may have heard, there is a protest and a march planned by Port Vale supporters against their board tomorrow. The Alliance has been contacted by Port Vale supporters representatives, who asked us to explain to CTFC supporters what these protests are about. We are not fully familiar with the nature of these protests; we know only what we have read in the media and what Port Vale supporters representatives have told us. As such, we will confine this post to letting you know what is planned, so that you can make your own decisions on whether to participate or to avoid the area if you so wish. An abridged version of the message we have received is below, and its accuracy has been confirmed by the Port Vale representative of the Football Supporters Federation. We, as Crawley Town supporters, have had our own similar experiences in the not so distant past, so as we count our blessings we send our best wishes back to our Port Vale counterparts. We would like to congratulate you on gaining promotion to the football league and hope you have a great day at Port Vale on Saturday. As genuine and passionate Port Vale fans, we want the best for our club. However we do not feel that our board feel the same way. We would like to draw your attention to our Starve Em Out campaign. http://www.starve-em-out.co.uk/. In an effort to starve the Directors of funds they need for their survival, many Vale fans have pledged not to spend their cash at Vale Park. This includes season ticket purchases, match day food and beverage, merchandise, programmes etc. As fellow football fans, you will no doubt appreciate how difficult it is to take this action against our beloved club, but we feel it is necessary for its very survival. On the day of our match against Crawley , many of those who are refraining from buying tickets will be marching to the ground in an organised and peaceful manner (leaving The Bulls Head Pub in Burslem at 2.30pm) and remaining outside the ground during the match. All Crawley fans travelling to the game on Saturday are welcome to join us in the pub and on our march to the ground beforehand. You will be made most welcome. We also respectfully ask you to consider not purchasing anything from the club whilst at the game. This would be a fantastic gesture of solidarity and really help us in our quest to force the change our club so badly needs. Thank you for considering our request and we wish your club and its fans all the very best for the coming season and hope you enjoy your day at Vale Park on Saturday.